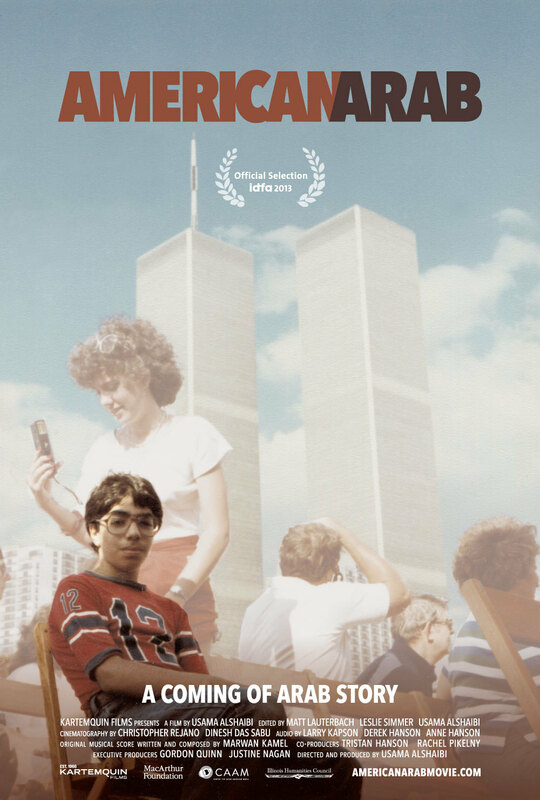 "American Arab picks up this thread of personal narrative and explores what it means to be an Arab-American, post-9/11. Further, in the great tradition of American personal documentary film, Alshabi also struggles with what it means to be a filmmaker who happens to be Arab-American. Less concerned with aesthetics than ideas, he uses the camera as a tool to dig for answers about identity, art and filmmaking that are often overlooked." "Alshaibi presents a very personal and exposed story of identity without finding a straightforward answer of what being a Muslim, an American, an Arab, or anything else really means to oneself or to those around that person. He is able to leave the viewer feeling untroubled by this ambiguity, however, and I think that is a testament to his talent and this work." — Anne Shelley, Illinois State University. "This perceptive video tells a universal story about immigrants’ struggles to assimilate and seek the often elusive promise of the American dream. A potent discussion starter." "It's giving voice to people who have been marginalized—and when they are presented in mainstream American media, it's rarely from their perspective... At the same time, the movie doesn't feel confrontational. It feels like the start of a conversation, rather than a provocation." "Probes what you might call the Arab-American dilemma... Alshaibi's family is smart and complicated, and you immediately have an emotional connection to these people." "AMERICAN ARAB is a gift, an important document and beacon of hope for a community and people too often misunderstood, with disastrous consequences." "Recommend American Arab to birthers who are convinced that Obama is a Muslim." "American Arab is full of troubling images... anything but an anti-American screed... rather disturbing."